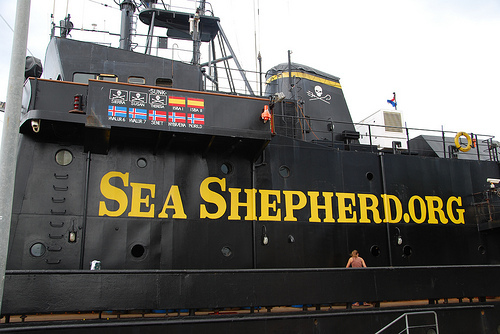 The Sea Shepherd Conservation Society (SSCS) kicked off the New Year with a formal reaffirmation of its principles, reminding all nations of their responsibility to uphold and protect designated whale sanctuaries from Japanese poachers. For an overview of Paul Watson's activism and the work of SSCS, check out the 2008 documentary Whale Warrior: Pirate for the Sea (note to Netflix subscribers: the film is up for live-streaming). Chicago, IL Patrick is a Chicago-based writer and musician. His work has appeared in a handful of publications, including In These Times and the Occupied Chicago Tribune. Among his research interests are animal rights, documentary film, the far-Right and foreign labor struggles. Feel free to contact him via email for any questions, ideas or criticisms.